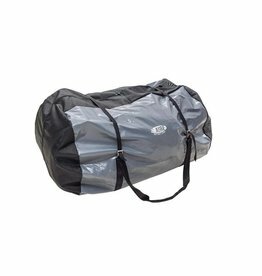 Round duffel-style bags have compression straps for a secure system to haul your inflatable raft. Small bag fits up to a 13' raft. Large bag fits up to a 16' raft.